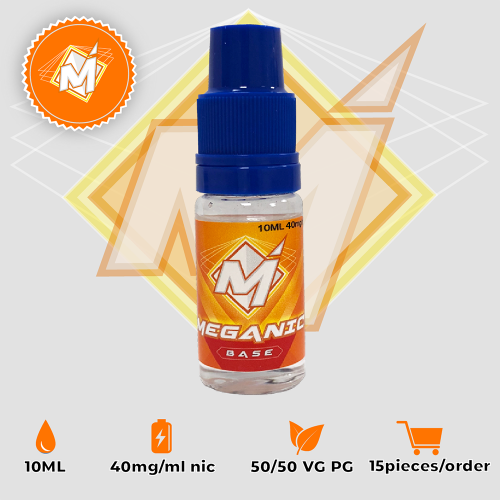 This MEGANIC base is PG only (Composition: 96-98% PG, 2-4% Nicotine). Excellent for vapers looking to mix eliquids with a clearer flavor and a harder throat hit. Quality and affordable product, whether you have a shop or are mixing your own to save money. My order have only taken 3 or 4 days to reach my home. Meganic is in my place! THANKS FOR YOUR PRODUCTS AND SERVICE !!!!!!! !